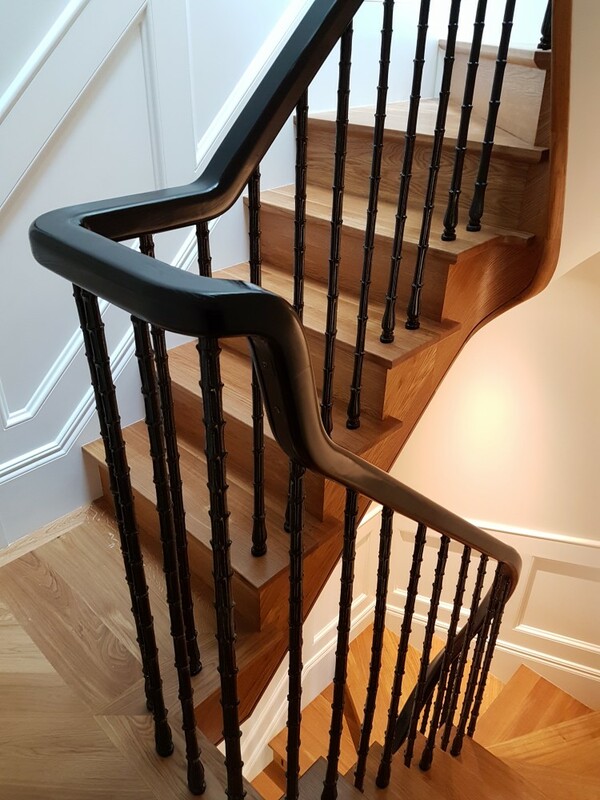 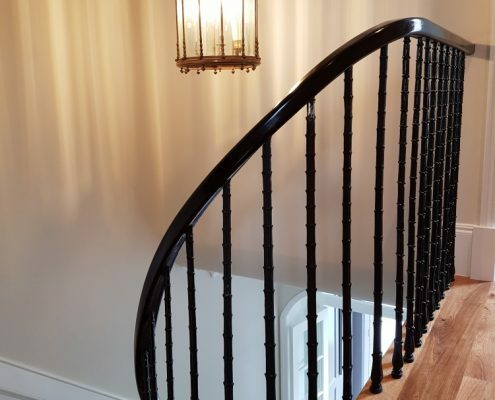 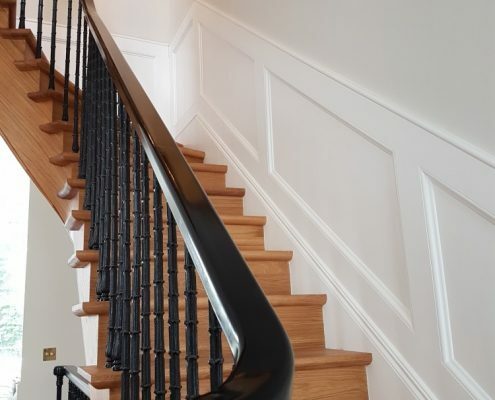 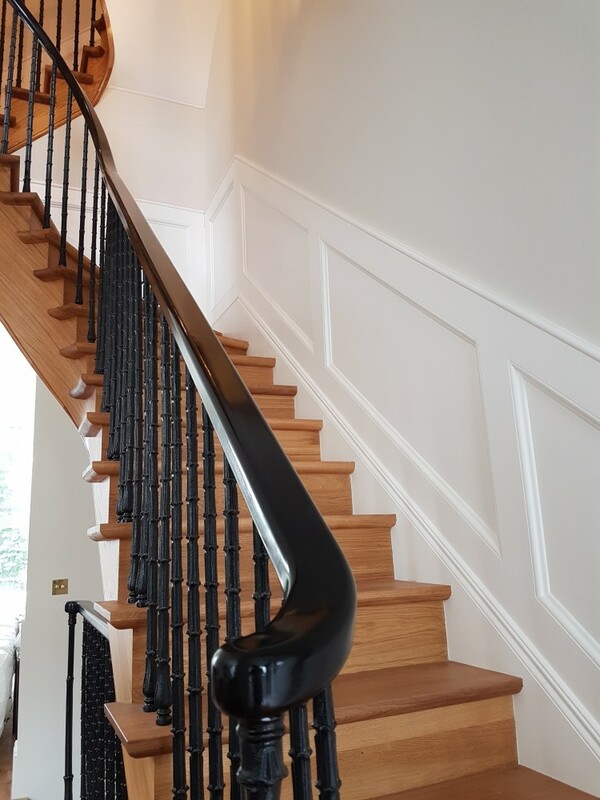 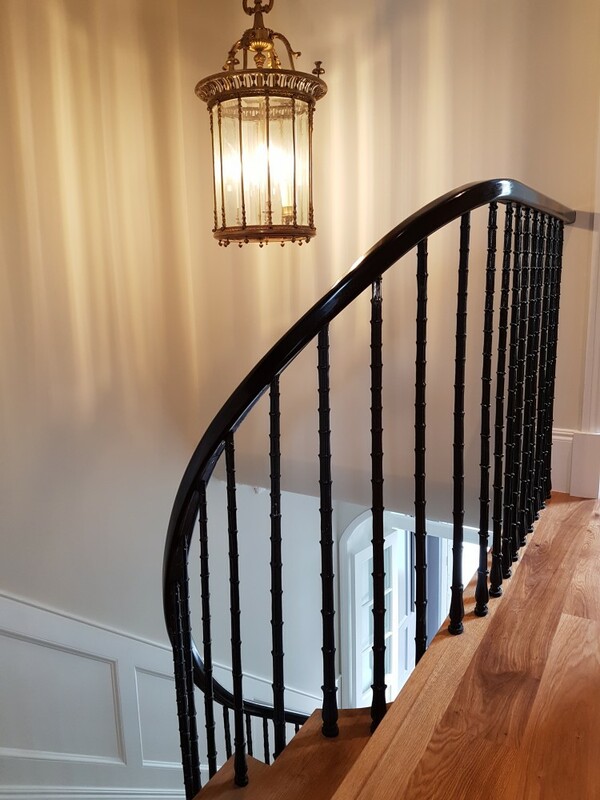 One of our favorite projects of 2015, this ash handrail was made to an extremely tight tolerence with our CNC machines. 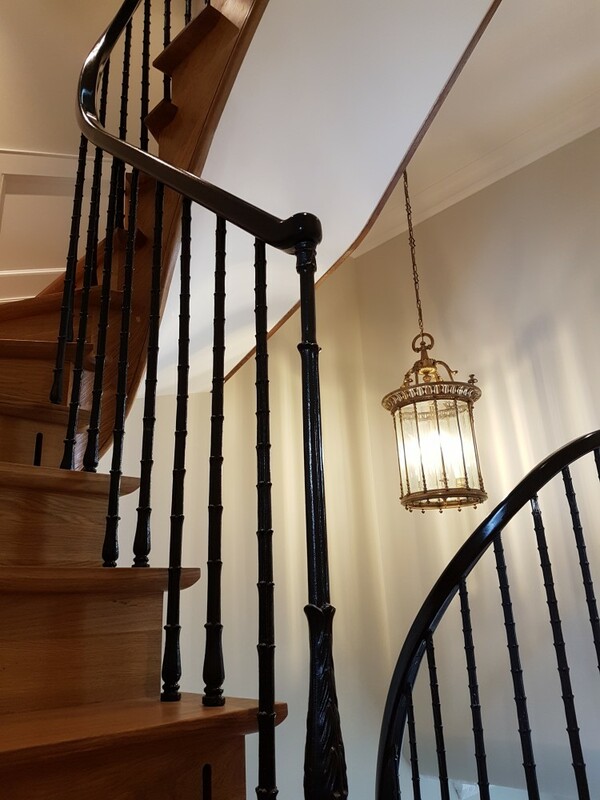 The client wanted a dramatic statement, so we stained & polished to create a jet black finish. 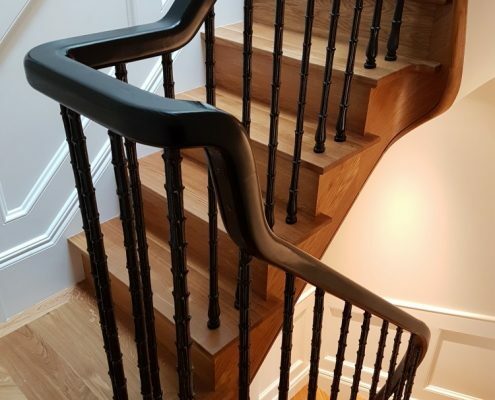 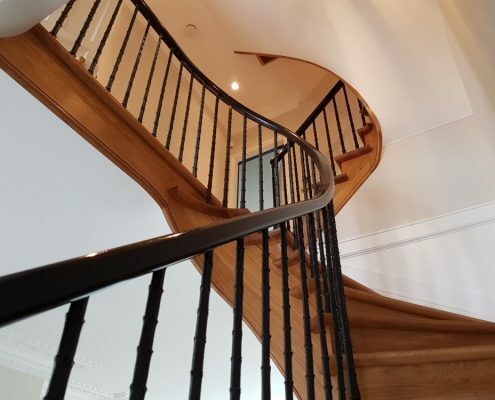 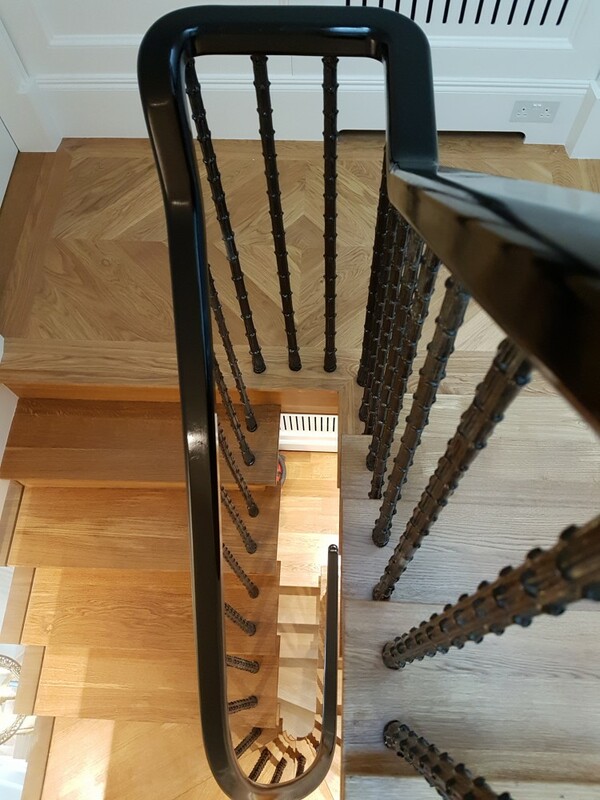 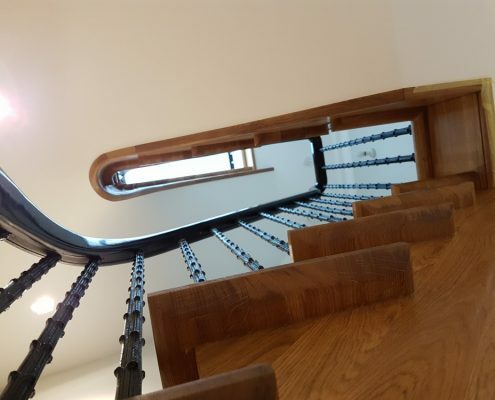 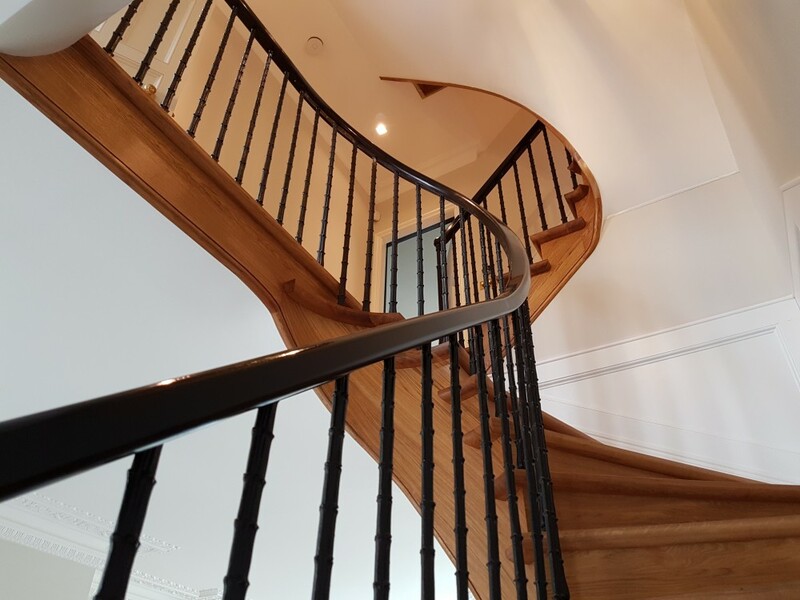 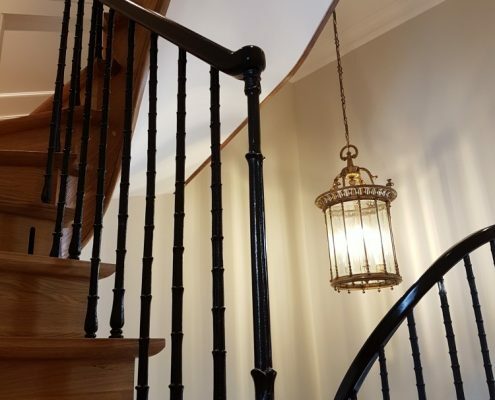 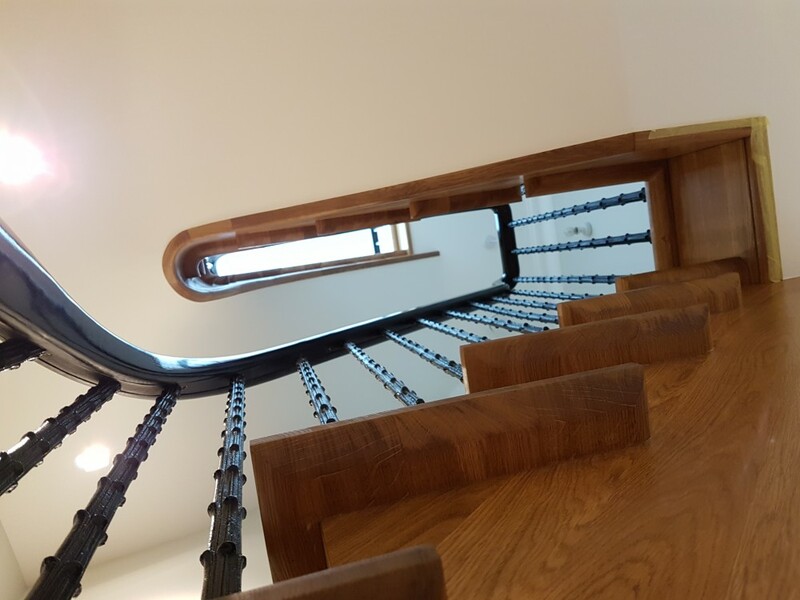 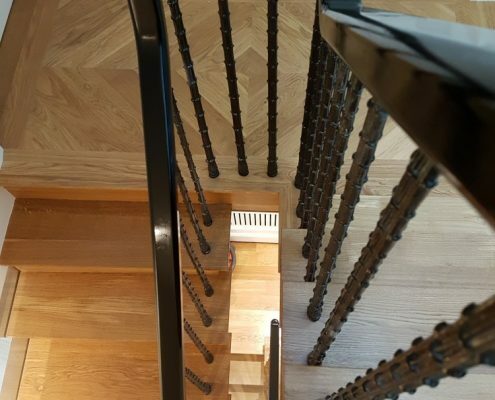 Running through 3 floors, the cast iron spindles were already fitted by others so it was up to our team to survey and match the steel core rail.